Most online consumer experiences market a combination of style and attitude about a product while showcasing why the product relates to the target consumer and imparts information on the strengths of the product. Rarely does style overtake substance so much as it does in the latest effort from Scion. 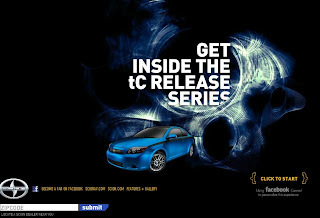 “Get Inside the tC Release Series” website experience, developed by marketing agency ..and company, is an extreme example showcasing all things not to do in a social media, Facebook-enabled automotive marketing experience. After the video plays the user is prompted to setup Dumb Step 360; I mean DUBSTEP 360. Once you setup DUBSTEP 360, whatever that is, it shows you a video of a dark nightclub with barely visual images of people dancing and hanging out. This goes on for about two minutes. It eventually stops prompting the user to share DUBSTEP 360. Oh yeah that was worth sharing? Is this the creative team a bit too in love with their idea? I’m starting to think so. After publishing the share of DUBSTEP 360, the link showed up on my Facebook profile and when clicking on it the homepage of the Scion tC RS 6.0 site shows up with no information about what DUBSTEP 360 is. 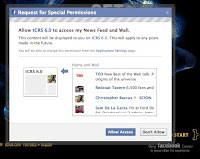 Now my friends have to go through the Facebook Connect Allow and navigate through the site probably forgetting all about DUBSTEP provided they actually moved beyond the home page which is seriously doubtful. No car. No idea what DUBSTEP 360 is (for those who don't know like me - yes I Googled it - it’s a style of electric dance music with roots in the early 2000s from the UK)? Hopefully people stay engaged. While the music video plays a hotspot takes the user to Scion.com, which is no longer connected to anything about the tC RS 6.0. A hotspot to the Scion page makes no sense when experiencing a music video that’s part of the communication for the tC RS 6.0 vehicle, yet two minutes into the experience there is zero about the car and when clicking in the dance scene one gets taken to a completely disconnected jump to Scion’s main consumer site. I’ve seen some pretty dumb stuff and have been involved with some poor user experiences, but the Scion tC RS 6.0 site is now the poster child of awful usability, an utter disconnect from product, and a design team completely in control of the experience rendering it virtually useless. So the site is a usability disaster of epic proportions and lacks vehicle content. It must get something right, right? No. 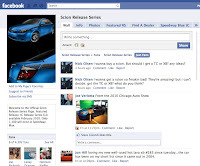 The other part of the experience is clicking the “Becoming a Fan on Facebook” link that takes one to the fan page, but not a Scion fan page; instead, the user is brought to a vehicle fan page for the Release Series. Sure there is nothing wrong with that connection or is there? Scion lacks a real fan page. There is an unofficial one, but no brand fan page. Also the Release Series is a niche product line with a very limited production run of 1,100 units for the tC and few other units from past and future models. Why not instead establish a brand presence on Facebook for all Scion fans and roll that out with the tC RS 6.0? This way the brand could expand it’s fan base to other vehicle fans and build an official Scion fan page with the release of this hot vehicle. This is an example of what not to do with one’s online site experience. I rarely am this rough with a site and apologize to the team involved, but I am pretty sure this site never went through usability testing with real users, the team was entirely led by creative whims not business goals, and the execution totally lost sight of the vehicle to instead focus on UK dance music. Talk about trying to be cool and not even coming close. Whoa, that's hot. You mean all that high-tech whiz-bangery just to sell me a car that's nearing the end of its lifecycle that has been "enhanced" with custom vinyl graphics, numbered badging and a leather steering wheel? Did Chrysler purchase Scion while I wasn't looking? Hmmm... Now you have me thinking that maybe this is all an elaborate jump through hoops all to make sure the website's drop-off rate is above 90% so no one will figure out that this car is essentially a couple stickers and not much else. Brilliant!